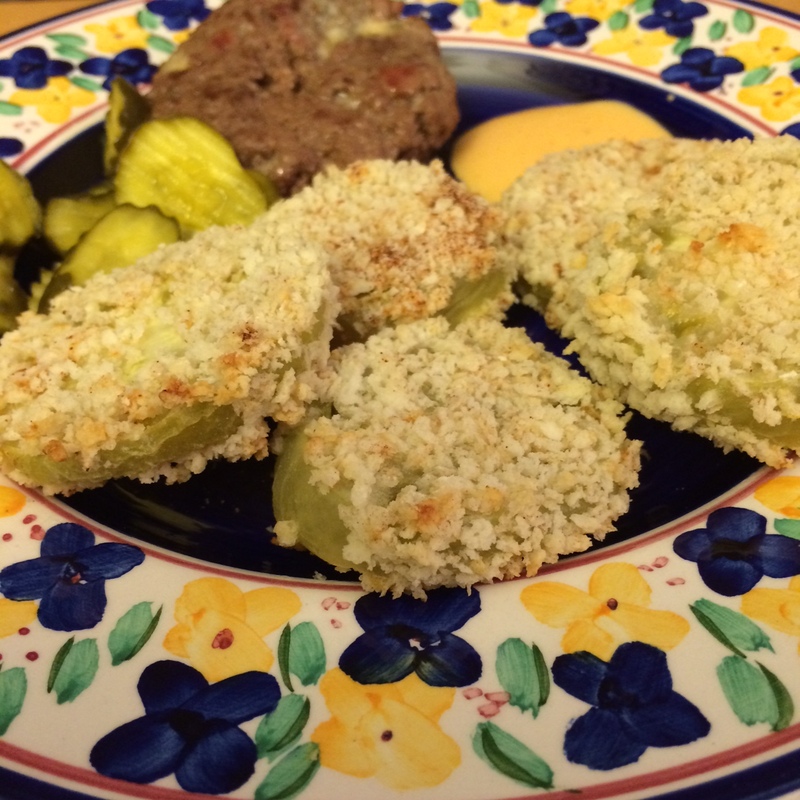 This Yankee decided to try her hand at making some fried green tomatoes last week. I’d seen them on menus around town and still recall the dish I had at the Court of Two Sisters in NoLA many years ago (they were THAT good!) While perusing the farmers’ market with a friend, I decided to pick some up and see what I could muster in my own tiny kitchen. 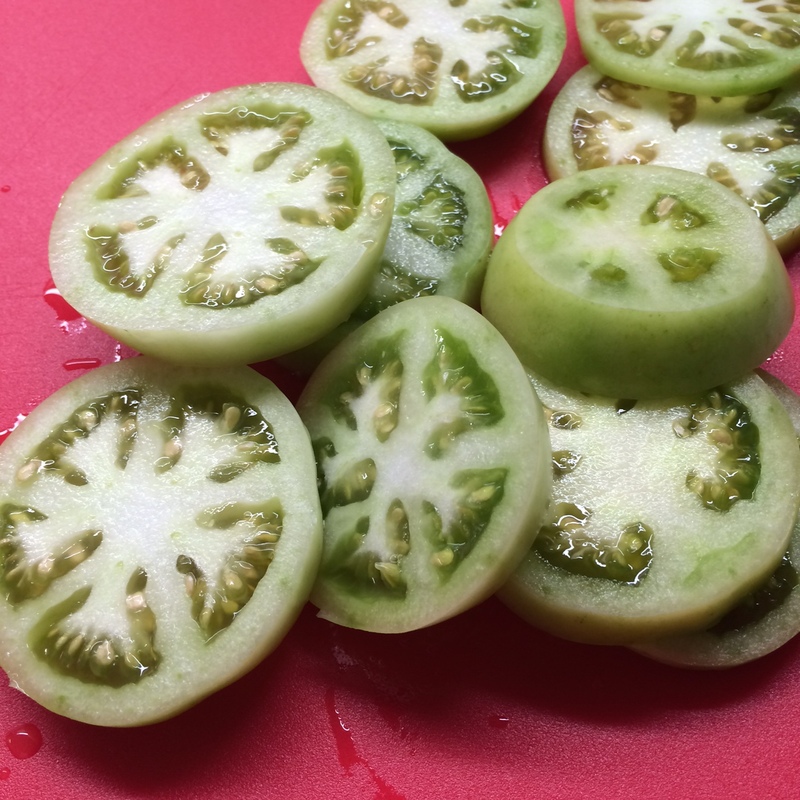 True to form, I went online and found various recipes…then decided to do my own variation after letting them “ripen” for about a week and a half. I’d been told that they’d work best when they were just starting to take on a pink hue; they weren’t starting to pink but I was tired of waiting and forged ahead anyway – and ended up pretty pleased with the result. While I know for sure there is something to be said for frying, I decided to bake them instead for a little bit lighter (and healthier) recipe. 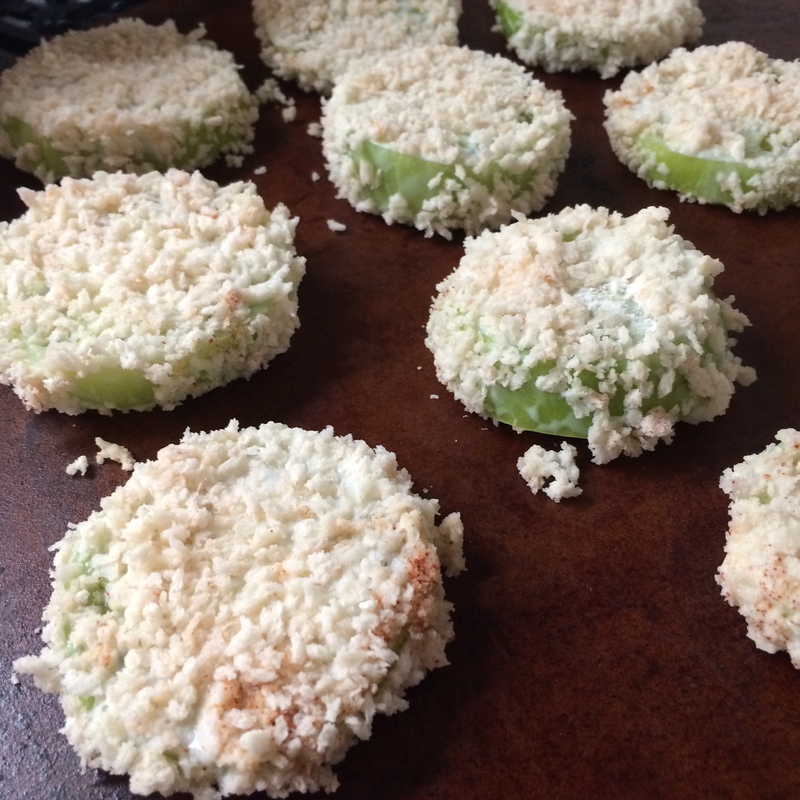 After preheating the oven to 400 degrees, I sliced my green tomatoes. Next, I mixed up the breading. 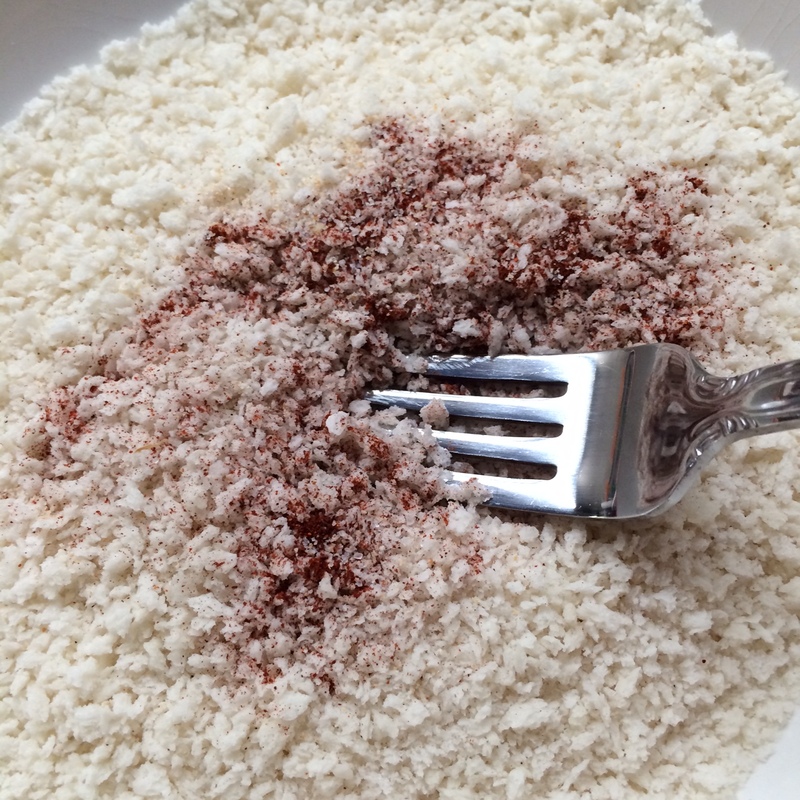 I chose to use panko, because I prefer it, and mixed in some garlic salt and some paprika. First, I dredged the tomatoes in flour, then buttermilk and finally the breadcrumb mixture. The process was a bit slow to ensure they were well covered and ready to bake. 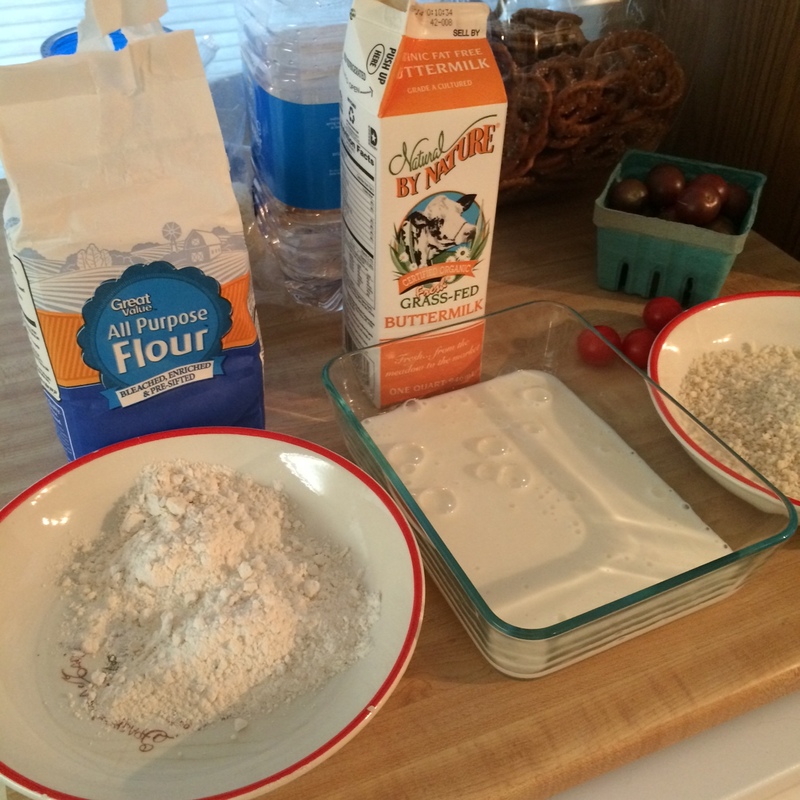 I prefer to use a baking stone whenever possible and did so with these; about 10 – 12 minutes on each side. I’d recommend turning the broiler on for a minute or two if you want the breadcrumbs to brown a bit more. Within 30 minutes, the finished product was plated and ready for dinner! Delish.